The Visitor Centre is an organisational unit of the town which fulfils the objectives of the grant project entitled Nový Jičín – Town of Hats, i.e. which implements the activities (monument reconstruction, an orientation system for cyclists, an interactive exhibition, increasing visitor numbers, creating a new experience tourism product, cooperation with project partners, development of tourism in the region, building the facilities for a hat store and hat café) defined in the project plan. 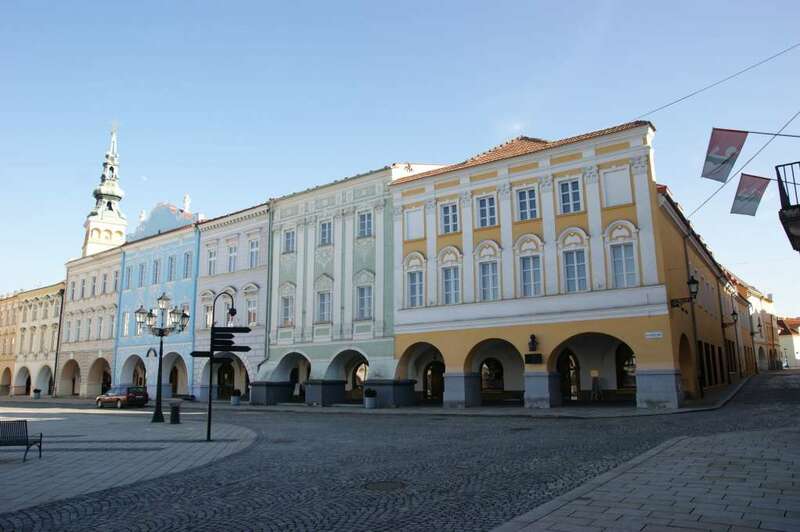 The newly opened Nový Jičín - town of hats - Visotor´s Centre, which is situated in the renovated Laudon House on Masaryk Square at no. 45, invites you to a unique exhibition devoted to the technological process of hat manufacture. The captivating exhibition will acquaint visitors with the process of hat manufacture, you can play fashion designer and try hats on live and interactively. Thanks to this unique program visitors will be acquainted with the remarkable process of hat manufacture, become familiar with its history and expand on their knowledge using this entertaining method. 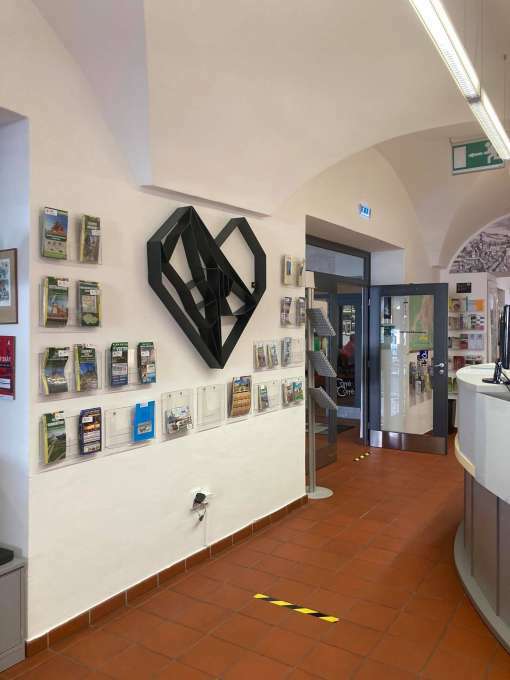 The Visitor’s Centre in Nový Jičín was awarded Tourist Information Centre (TIC) of the year in the Moravian Silesian Region for quality and innovation and was judged one of the top ten attractions in the Czech Republic in 2012. In 2010 the Representative of the Silesian Province honoured the Nový Jičín Visitor’s Centre for its activities in the sphere of development of tourism in the Silesian Province. 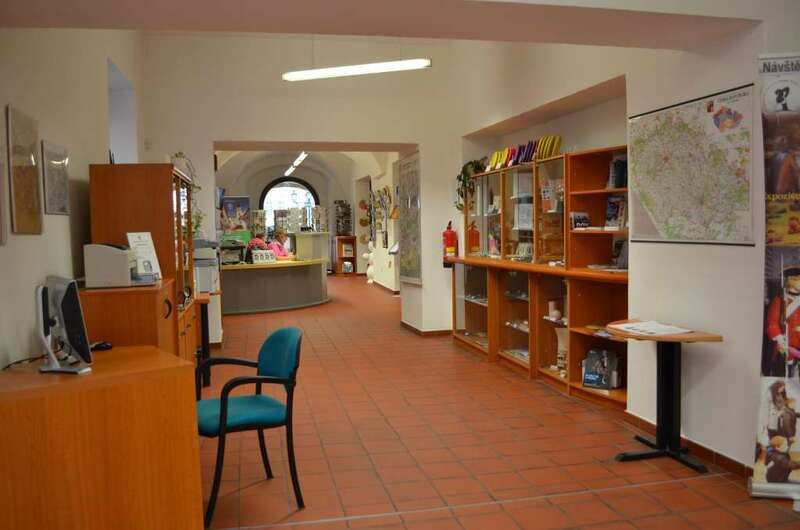 In 2013 mayor of the Polish town of Zabrze awarded a prize to the Visitor’s Centre for the most interesting stand and organisation of a workshop for young people during the International Trade Fair of Tourism, Industrial Heritage and Mining Tourism in Zabrze. In 2014 the Visitor’s Centre in Nový Jičín placed 3rd in the competition for “Best tourist product in the Beskyd – Wallachia tourist region”. The Visitor’s Centre Nový Jičín – town of hats received 1st place for the most attractive stand at the International Trade Fair of Tourism and Industrial Heritage in the Polish town of Zabrze.